Russian President Vladimir Putin, who is in China on an official visit, and the leader of the People's Republic of China, Xi Jinping, arrived in Tianjin on a high-speed train. 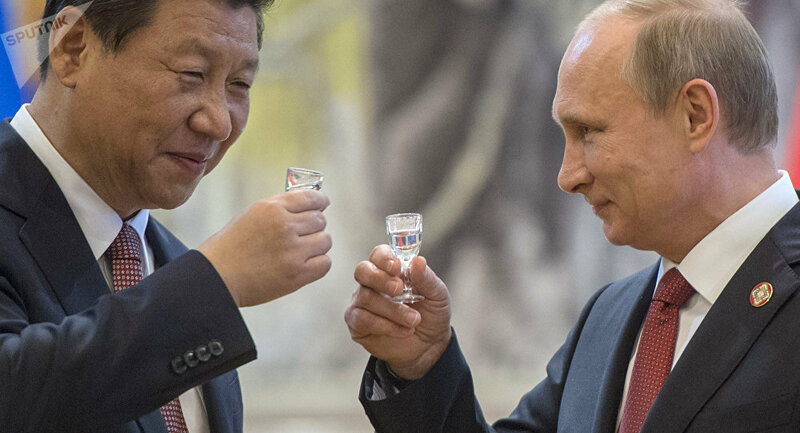 The Russian and Chinese presidents have left Beijing for Tianjin, a port city on the shores of Bohai Bay, located 120 km from the Chinese capital, on a high-speed train. Xi Jinping wanted to demonstrate the advantages of high-speed transport, as well as Chinese engineering. At the moment, China is experiencing a boom in the construction of high-speed railways. Today, the country has the world's longest high-speed rail network, extending about 22,000 km. In August 2017, the new generation "Fuxin" high-speed trains began to run along two railway lines connecting Beijing, Tianjin and several cities in Hebei Province.